You can only see faces which point in your direction. Any faces which are pointing the other way (eg faces 2 and 0 in the pictures above) are not visible until you walk to the other side of the block (as per faces 4 and 5 above). 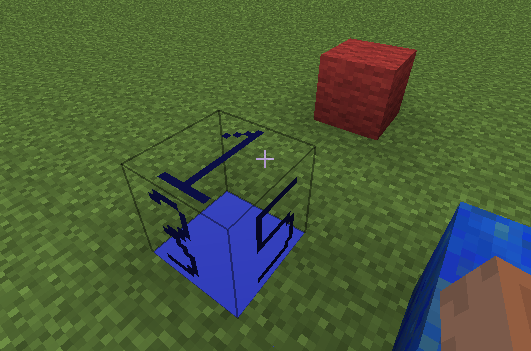 You need to override isOpaqueCube() to return false, otherwise the adjacent faces of adjacent blocks won't be rendered properly, for example see below. For more information on the various effects of isOpaqueCube, see here. The transparency is either on or off - a pixel is either fully transparent or fully opaque. For exampe - if your alpha channel has 50% transparency, it will be treated as opaque. pass 1 (0 - 100% transparency; back faces visible). 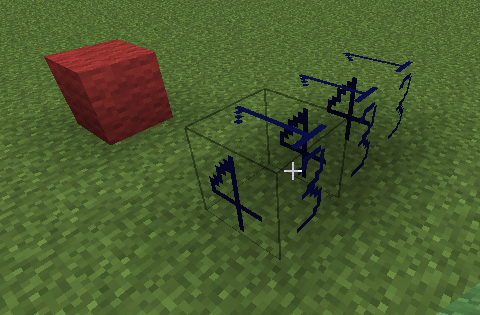 Each block is rendered on either pass 0 or pass 1, as determined by Block.getRenderBlockPass() and Block.canRenderInPass(). For example - Ice normally renders in pass 1. The picture below shows the difference between ice rendered in pass 1 (left) and pass 0 (right). 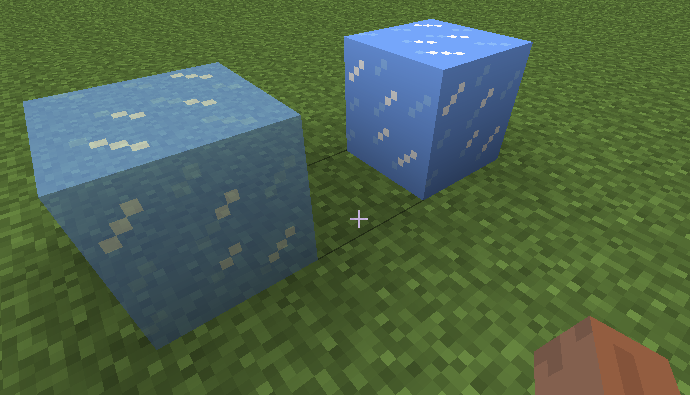 Ice rendered in pass 1 (left) or pass 0 (right). Pass 1 renders 25%, 50%, 75% transparency as partially transparent. It is possible to render a block in both passes, but this is not generally useful. 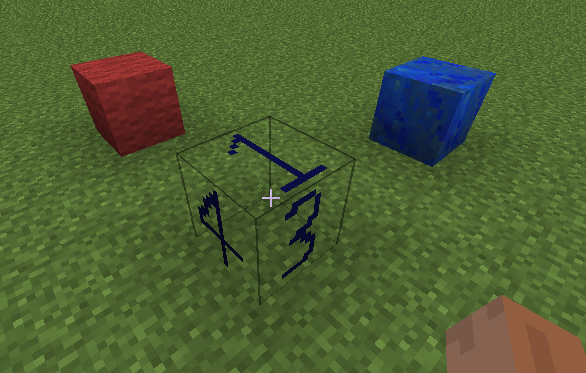 If multiple transparent blocks are placed next to each other, the internal faces are all visible (the two "4" faces in the picture below). This is different from (for example) glass and ice, where these "internal faces" are not shown. 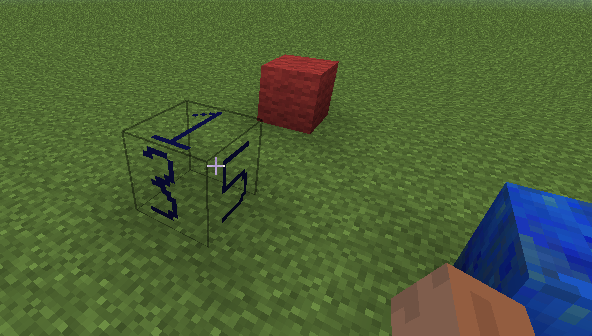 Minecraft achieves this using the shouldSideBeRendered() method. 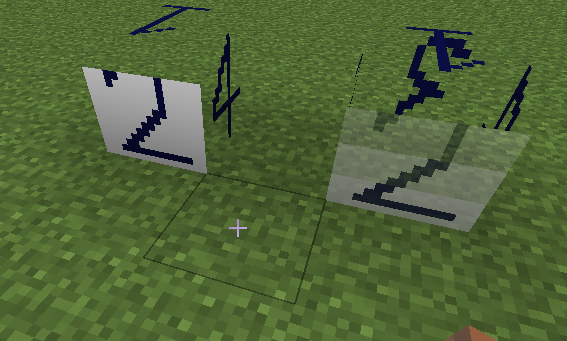 For example - BlockGlass overrides shouldSideBeRendered(), and returns false if the adjacent block is also a glass block. (see BlockBreakable.shouldSideBeRendered()).